LONDON (Reuters) - Mike Lynch, once hailed as Britain's answer to Bill Gates, faces Hewlett-Packard (HP) in London's High Court on Monday in a multi-billion dollar showdown over the U.S. technology company's 2011 purchase of the Autonomy software business he founded. The case is part of a dispute between HP and Lynch lasting more than six years over who is to blame for the disastrous deal, which ended up costing the Silicon Valley stalwart's shareholders billions of dollars. 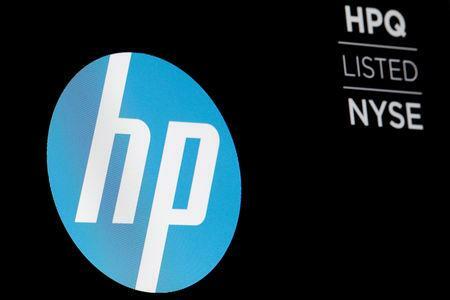 HP is seeking damages of around $5 billion from Lynch and his former colleague Sushovan Hussain, alleging that they inflated the value of Autonomy before selling the big data firm, whose software searches and organises unstructured information, such as telephone conversations. Lynch has denied the allegations and said the failure of the $11 billion acquisition was down to HP's mismanagement. The 53-year-old, whose doctoral thesis is one of the most consulted at Cambridge University, is counter-suing for more than $160 million for loss and damage caused by HP's actions. Autonomy was supposed to be the centrepiece of a plan to transform HP from a PC and printer maker into a software-focused enterprise services firm, a shift successfully undertaken by IBM in the previous two decades. Lynch has been engaged in a war of words with HP ever since he was fired by former HP CEO Meg Whitman in 2012 less than a year after the deal was completed. The entrepreneur has maintained his standing in the British tech scene by investing in a string of new companies and through membership of bodies such as the Royal Society. 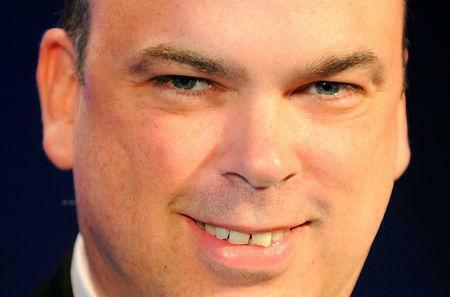 However, the stakes in the dispute escalated in November when Lynch and Stephen Chamberlain, another former Autonomy executive, were indicted for wire fraud in the United States, a charge that carries a maximum term of 20 years imprisonment. An amended indictment filed on Friday added charges against both men, including a securities fraud count against Lynch that could subject him to a 25-year prison term. Lynch has stepped down from his government advisory role and from Royal Society committees. Hussain was found guilty in a related case in April 2018, but has not yet been sentenced. The Autonomy deal started to turn sour before it was even completed. Many shareholders baulked at the 79 percent premium, the architect of the strategy CEO Leo Apotheker was sacked and HP's board looked into the possibility of walking away. And a little over a year after it was completed, HP said it had discovered "serious accounting improprieties" that had inflated the value of Autonomy, writing off more than $5 billion in relation to the botched deal. That is the sum it is now seeking from Lynch, who received about $800 million for his stake in Autonomy, and Hussain. HP will argue that Autonomy's management made undisclosed, loss-making hardware sales and misrepresented revenue to inflate Autonomy's value, its claim shows. Lynch will deny all of HP's claims, his defence says and a counterclaim document shows. In it Lynch says that HP's executives have campaigned over a number of years to shift the responsibility for their failures in the acquisition and integration of Autonomy onto him. The case is set to last until the end of year and it could then take the judge another six months to reach a decision.